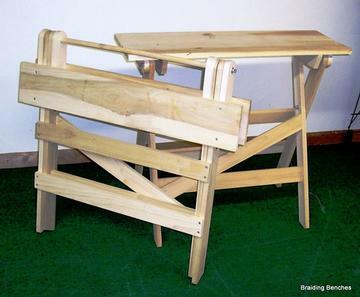 These unfinished collapsible benches are sturdy and made to last. In the collapsed position you can slip in beside your horse in the tie stall and then unfold to get up and braid the mane. Perfect for taking with you to shows.